Do you love the bucket filling theme? 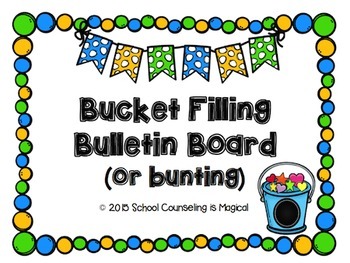 Are you looking for a fun way to decorate a bulletin board or your classroom? This brightly colored set will surely fill someone's bucket. 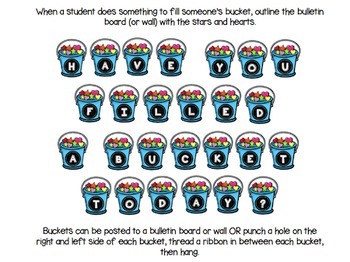 Buckets that spell out "Have You Filled a Bucket Today?" 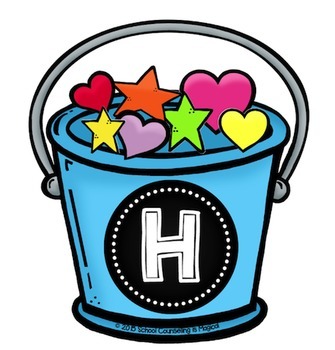 A variety of hearts and stars that students can write on when they see someone filling up someone's bucket. This is a great supplement to the Bucket Filling Books by Tom Rath and Carol McCloud.